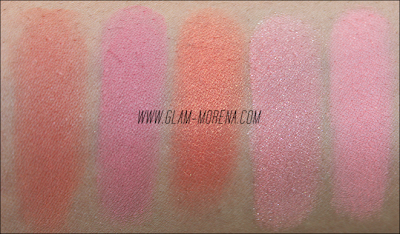 Glam Morena: My Top Favorite Spring & Summer Drugstore Blushes. 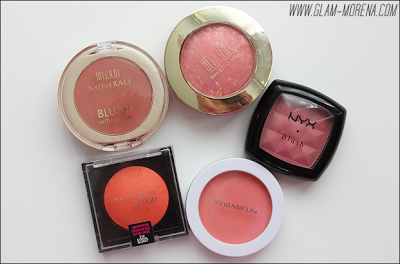 My Top Favorite Spring & Summer Drugstore Blushes. Since it is Spring and Summer is coming up soon I thought it would be perfect to share my favorite blushes for Spring and Summer. Best of all these blushes are from the drugstore! Each blush is affordable and inexpensive. I mainly reach for peach, coral, and orange blushes during those two seasons. Those colors really tend to brighten up my complexion. Be sure to keep scrolling for more photos and swatches of each blush. 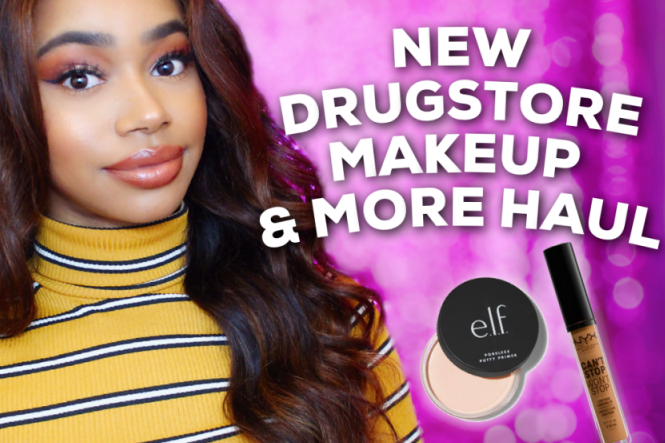 Be sure to watch the video to hear my thoughts and see live swatches! Here is a closer look at each blush. Aren't they lovely? Swatches of Sunset Beach, Amber, Coral Burst, Corallina, and Sunset. 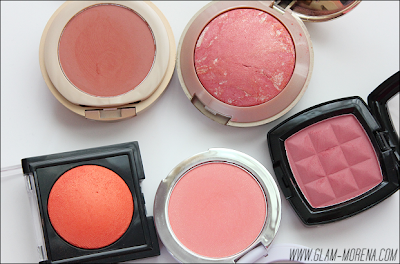 What is one of your favorite drugstore blush for Spring and Summer? I reach for the exact same colors. Are there any drugstore cream formula blushes in that color wheel that you'd recommend? I have the Milani blushes, Coraliana and Sunset Beach and I love them! They just kind of melt into your skin and looks like a glow coming from within. I usually like Sonia Kashuk blush, but that swatch of the "Sunset" looks like a chalky pink.